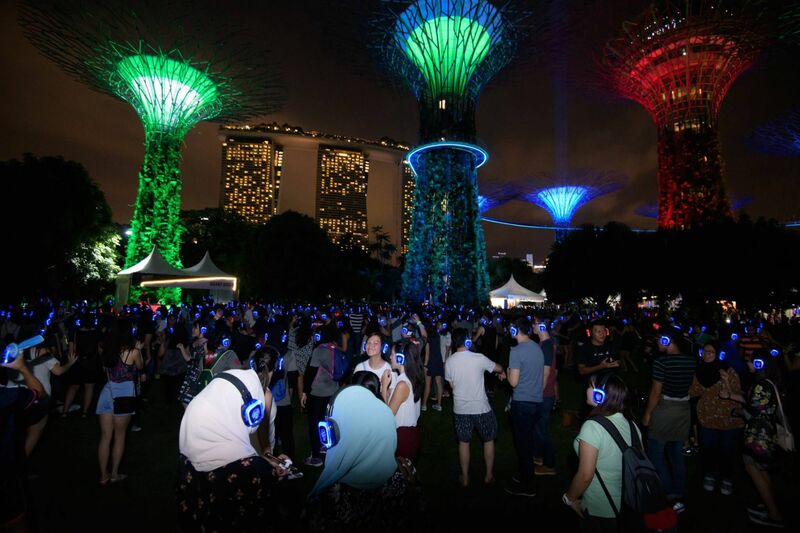 What Taking over the atrium at the ArtScience Museum this Saturday is party group Silent Disco Asia, bringing you the best hits by three different DJs to get you going on the dancefloor against the Marina Bay backdrop. With just a flick of a switch on your own headset, you can choose to groove to chart-topping tunes on the green channel, heart-thumping electronic dance music on the blue, or rock and indie anthems on the red. As your headphones light up to the colour of your preferred set, immerse yourself in this interactive experience as part of the i Light Festival happening this weekend. Party-goers won't want to miss out on the exciting Bollywood special on Feb 22 as well! What The Necessary Stage's most celebrated play, Off Centre, makes a comeback at the Victoria Theatre this month. Written by local playwright Haresh Sharma and directed by theatre veteran Alvin Tan, it ventures into the friendship of two unlikely individuals, exploring the social stigma around mental illness that is still relevant to this day. This year's production will also see the return of both original leading actors in the 1993 version—Sakina Dollah and Abdulattif Abdullah—reprising the role of Saloma and Vinod respectively. What After premiering at Cannes Film Festival in 2018, the Lebanese drama film received an astouding 15-minute standing ovation and subsequently went on to win the Jury Prize, with a pending nomination at the Academy Awards for Best Foreign Film later this month. Following the life of 12-year-old Zain, played by Zain Al Rafeea, it tells the story of a child in search of his identity and rebelling against the circumstances imposed on him. The film was made up of a cast of non-professional actors whose lives closely parallel the narratives of their characters. Directed by Nadine Labaki, who is the first female Arab filmmaker to be nominated in a major film category in the festival circuit, the film is must-watch at The Projector this weekend. Close Up What Does The Future Of Retail Look Like For Ion Orchard?